Our next event is Thursday 11th April 12 - 7pm BOOK YOUR PLACE NOW!!!! Come and have your skin analysed using the latest scientific equipment..... 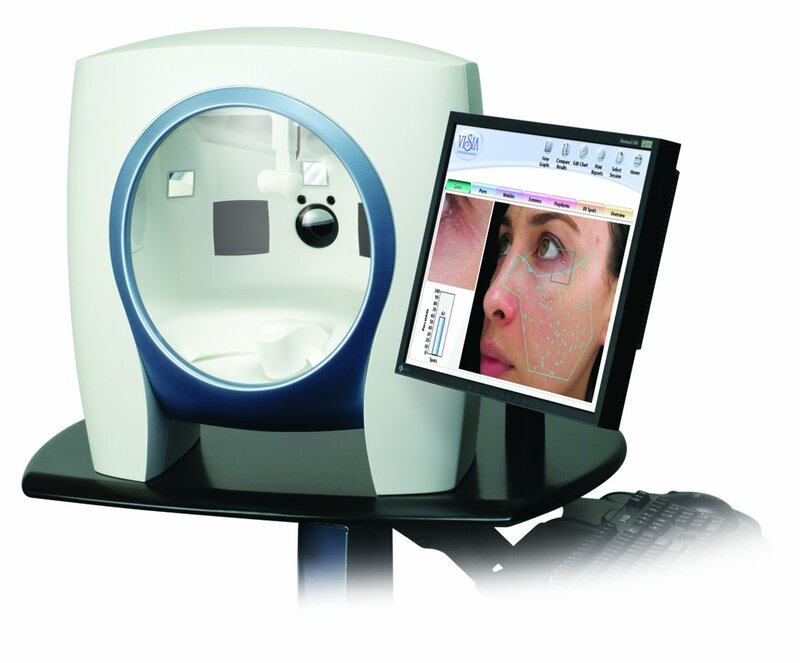 The Visia camera will take pictures of your skin and our expert analyst will then advise and recommend solutions. They will also assist you in choosing the correct make-up to suit your skin and concerns using the Jane Iredale Skincare Mineral Make-up. Can't wait until then? Why not come along for a complimentary skin consultation and demo of our Environ DF machine facials. Before and after pictures showing how sun damage has been reduced from 76% down to 36% by using the Environ Skincare and Advanced Nutrition Program. Why not come and see for yourself how your skin can be helped too.